Sophie Hackford is a futurist and business builder who synthesising explosive and interconnected technology and science breakthroughs from around the world. From satellite swarms to AI demonstrating intuition, we are becoming entangled with machines and will be surprised by the consequences. Sophie’s talks are designed to create enthusiasm and constructive dialogue around emerging technologies, which are often viewed with fear and inertia by the business community. She wants to help audiences ask big questions about the future and tries to provoke positive debate among decision makers. Sophie is completing an under-the radar research program, living amongst the maker, hacker, science and space communities, from Shenzhen to Detroit. The self-directed program brought her into contact with the weirdos and troublemakers developing emerging technologies outside traditional innovation hotspots. The aim is to map these technologies over shifting demographics, economics, geopolitics, and hopefully provide a richer understanding of the interconnected challenges and opportunities ahead. 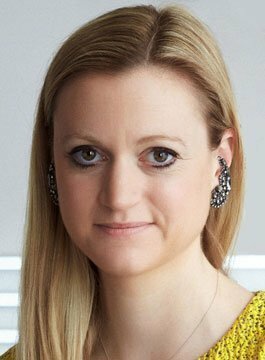 Sophie Hackford previously launched and ran WIRED magazine’s consulting business, bringing the entrepreneurs building the future into boardrooms. She spent two years in Silicon Valley working at Singularity University, a group based at a NASA research park tasked with understanding and harnessing exponential technologies. Prior to California, she worked at Oxford University, bringing more than $120m of investment to a futures research group called the Oxford Martin School. She speaks regularly for corporate audiences on our explosive tech future. Sophie’s presentations are designed for business and government audiences, to dispel myths about technology and highlight use-cases of new breakthroughs. New Interfaces with the Machines: How emotion and voice will transform the internet? Data and Analytics: How to deal with data streaming from satellites, cameras, sensors, even our genes? Future of Work: With our demographic crunch approaching, how to think about man and machine in the workforce? How tech companies think about the Future: How Facebook, Alphabet, Amazon, Baidu, Tencent operate?